Our clients asked us to create an elegant Master Bath that felt warm and comfortable. We knew that too elegant would be stiff, but too relaxed could lose the sophistication. The home was built in the 1920’s and our team strived to keep the style of the early details and comfort of the home. 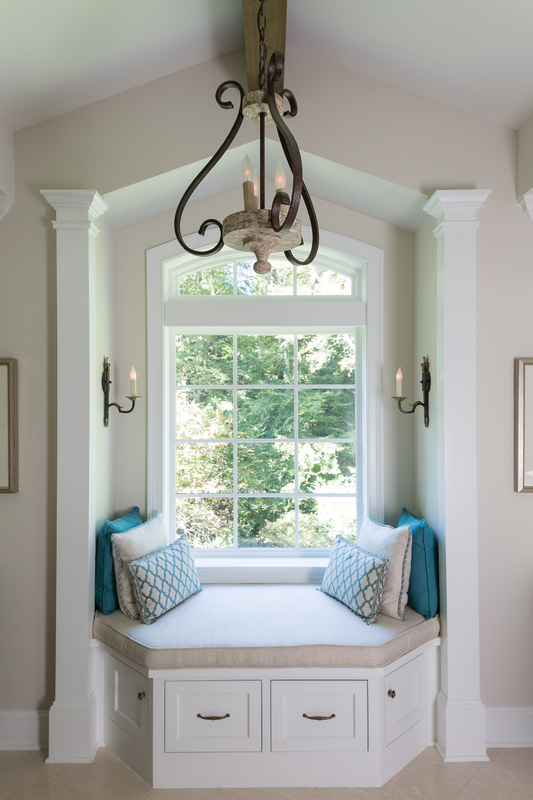 We opted for elegant materials but balanced this look with a charming window seat. It’s a practical addition, too, as a place for storage and dressing. 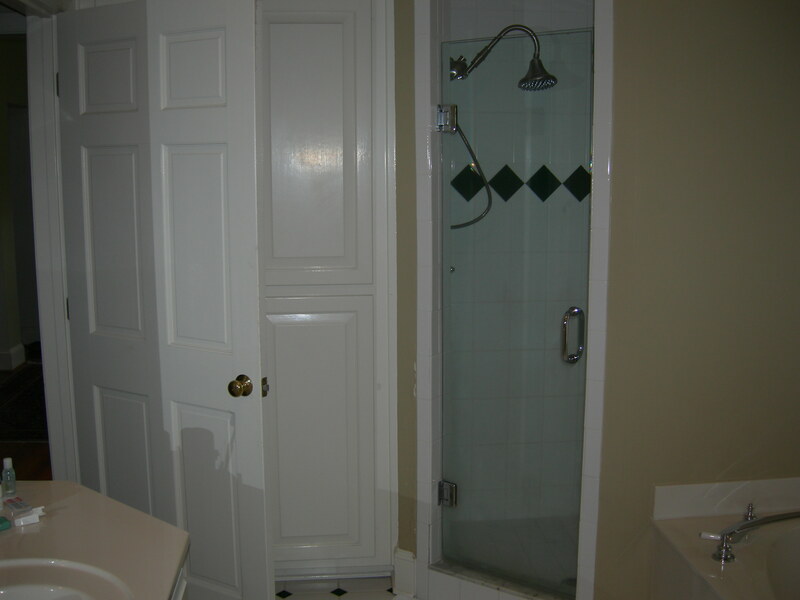 In order to add the window seat, we canceled the tub which was located between the commode on the right and the shower on the left. 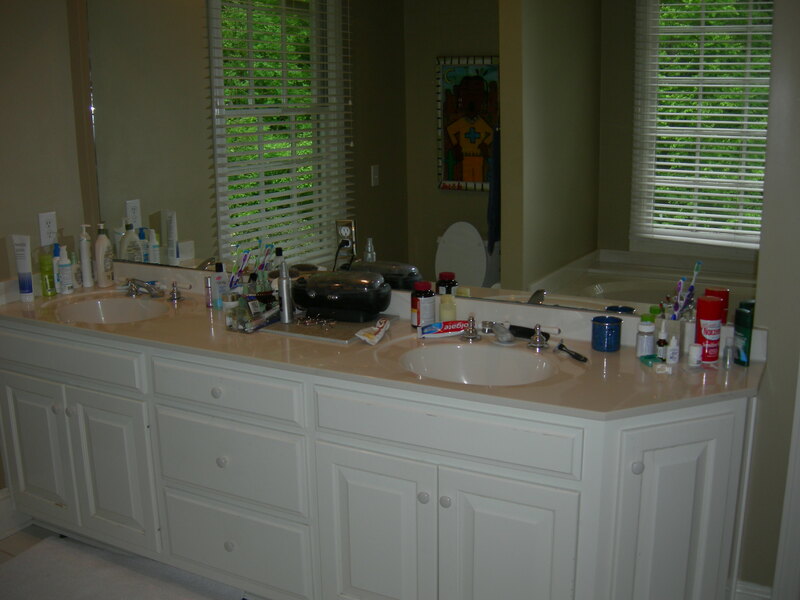 Our clients requested new vanity spaces as they had been sharing a small vanity cabinet. If possible, they each wanted their own vanity, as well as a shower big enough for two, with multiple shower heads and a steam unit. 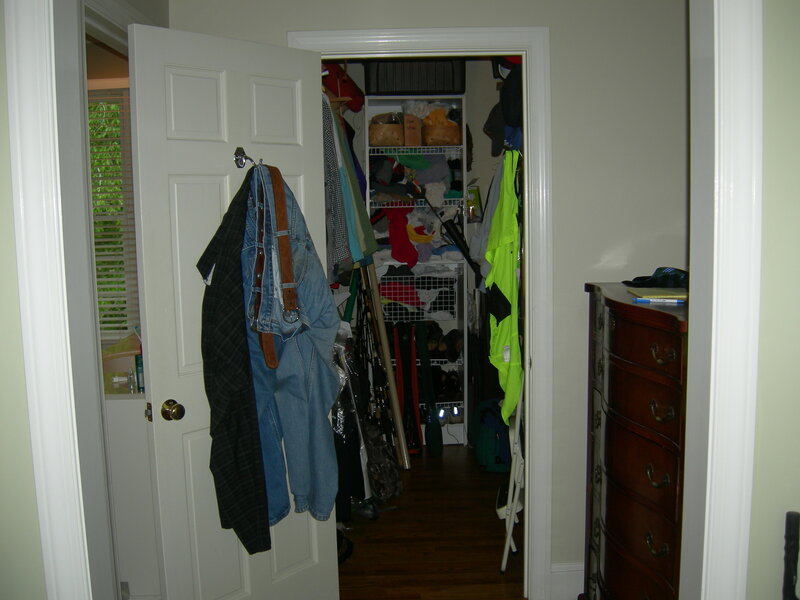 Finally, the clients also requested that we improve their closet space. 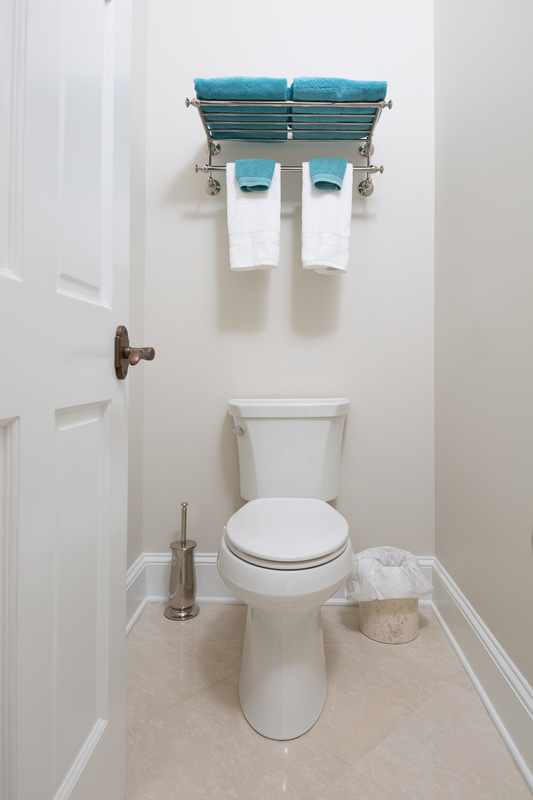 When we redesigned the bath space, we took the old closet and used that additional square footage for the shower and the commode. This beautiful redesign allows the client to have their wishes in a warm and elegant setting. When our clients asked us to create an elegant Master Bath that felt warm and comfortable, we knew that too elegant would be stiff and too relaxed could lose the sophistication. We opted for elegant materials but balanced this look with a charming window seat. The window seat is welcoming, while still emphasizing the elegance of this bath by the symmetry of the columns, the sconces, and the chandelier. The space features refined materials and fixtures, including Botticino marble floors, shower, and vanity tops, mahogany cabinets, antique mirrors, and dark iron light fixtures. However, the selections also purposefully lack overly ornate patterns or details. This ensures the space remains comfortably elegant without being too formal and losing its welcoming quality. We were also very careful in designing a space that would match the aesthetic of the rest of the home, which was built in the 1920’s. 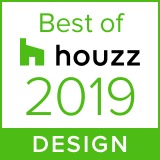 Although we were able to include all of the modern features desired by our client, such as the built-in sound system, heated floor system, and remote controlled blinds, we were able to incorporate them in a way that blends in seamlessly with the rest of the design. In this way, we kept the style of the early details while maximizing the comfort of the space through modern conveniences. His and Her vanities both feature receptacles, interior pullouts, and a hamper disguised as drawers. The soffits above the vanities were built to incorporate speakers and additional lighting. His vanity also features a TV above the door to the hall. 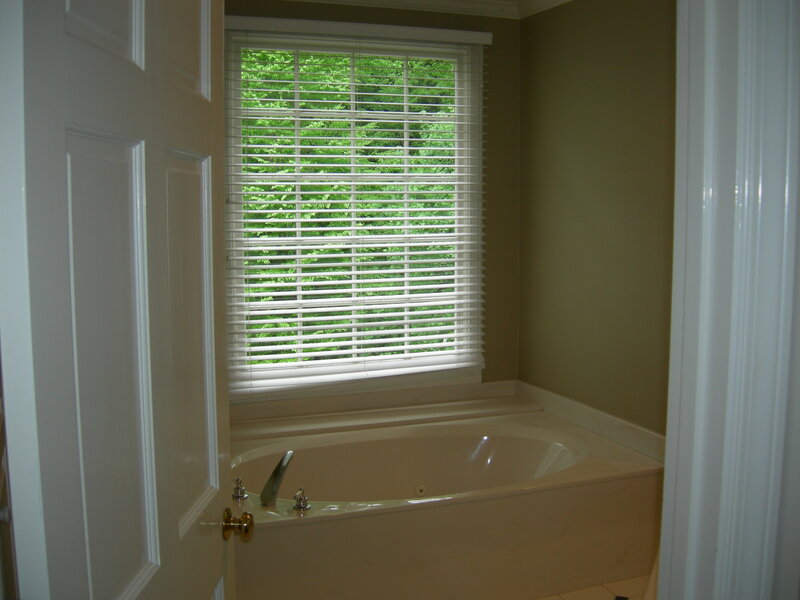 The blinds over the old tub were never opened because of the difficulty of standing in the tub to open and close them. The blinds are now remotely controlled and can be opened, closed, or semi-closed. The trim between the transom and the window contains a hidden pocket to hide the mechanism of the blinds. The floors are 24 inch by 24 inch tiles of Botticino marble tile with a heated floor system. 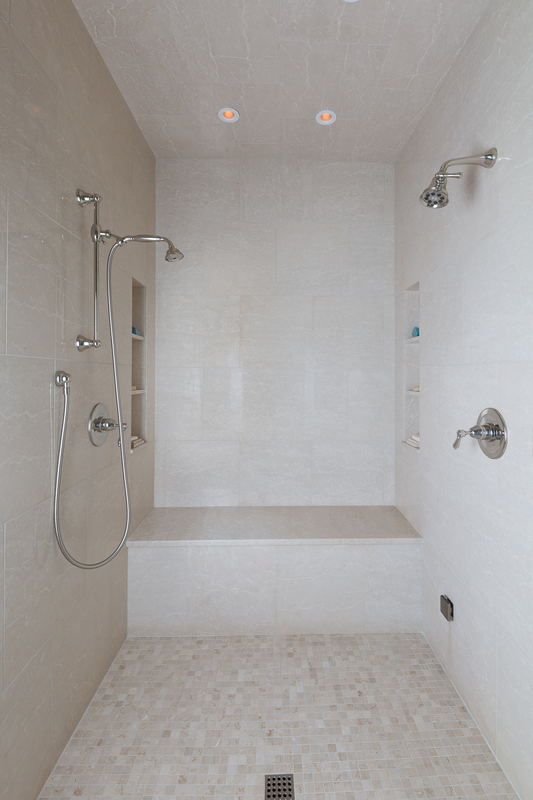 The shower tile matches the floor, and shower details are made from matching marble slabs, i.e. the top of the bench seat. The spacious Botticino marble steam shower is large enough for two and has individual volume controls and multiple shower heads. His and hers niches are positioned near the bench. Very little of the home was structurally sound. The walls from the previous renovation were framed in a piecemeal manner. We also found rotten ceiling joists, rotten siding shingles, and significant rot in the subfloor where the old shower was located. Solving these issues required reframing nearly the entire space as well as moving the plumbing vent in order to repair the slate roof.